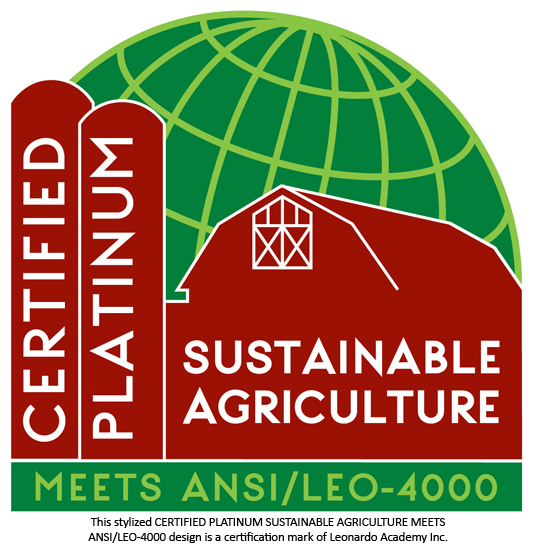 MADISON, Wis., June 6, 2016 /3BL Media/ - Leonardo Academy, Inc. announced that it will be hosting a webinar training series to introduce all potential participants and interested parties to the new American National Standard for Sustainable Agriculture (ANSI/LEO-4000). Separate 30-minute webinar sessions are scheduled for each link of the supply chain, from producers to consumers, and are free to attend. The webinars will include information about the standard’s development history, an overview of available tools and resources, an overview of standard metrics, and specific guidance on how each link of the supply chain can begin implementation. ANSI/LEO-4000 empowers all levels of the agriculture supply chain to decisively advance sustainability in agriculture. The standard addresses all three components of sustainability: economic prosperity, social responsibility, and environmental stewardship. These webinar sessions will be presented by Michael Arny, the Founder and President of Leonardo Academy and leader of the Leonardo Academy ANSI Standards Program. “The ANSI/LEO-4000 National Standard for Sustainable Agriculture has been launched and we are excited to provide this webinar series to inform each level of the supply chain about how to put the standard to work on advancing sustainability in agriculture,” Michael said.